Internet backup service software allows data backup over Internet. Among all Internet backup solutions, Handy Backup is an example of a convenient, fast and versatile software, allowing Internet backup for almost any type of network-oriented information existed. Ensuring its quickness and reliability, Handy Backup includes such modern Internet backup services as multi-threaded backup, utilizing data-specific API for optimizing access to different sources and storages, “hot” backup of server data locked by other applications, and many other tech solutions. For backup software Internet is a big source of problems, including malware, hacker activity, backdoors and simple hardware failures. 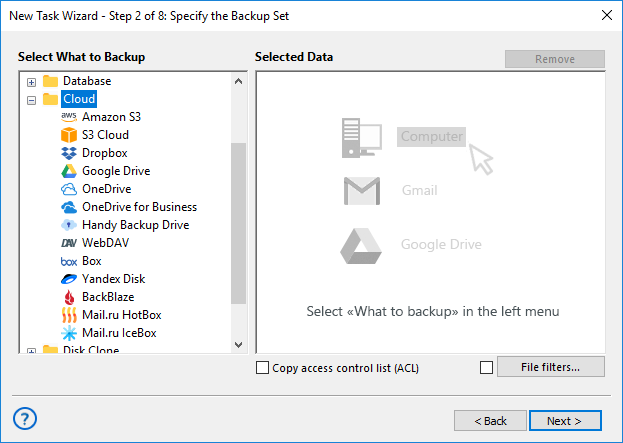 Handy Backup fights these problems by a couple of counter-measures, including direct internal encryption for backups, informing users by emails and restarting missed tasks. Good Internet backup solutions must access as much different data sources and potential backup storages as possible, providing a versatile server or remote data object backup just from a single application. To do it, Handy Backup has many Internet-related plug-ins, including cloud tools. 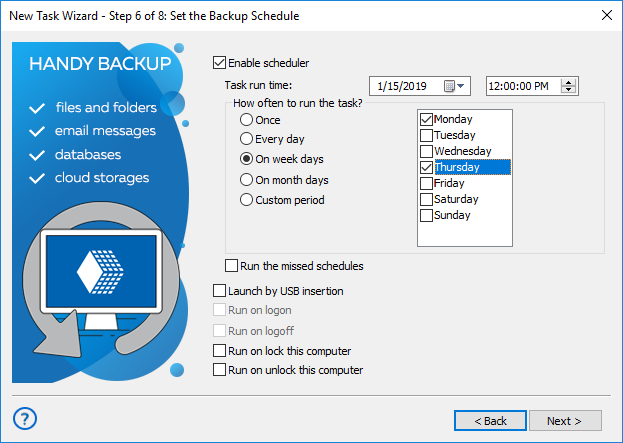 In addition, Handy Backup provides a WebDAV interface, which grants an access for any cloud (either commercial or private) supporting this type of interface. A list of cloud services supported by Handy Backup is potentially unlimited, especially considering different WebDAV bridge services. The Small Server edition contains a full set of tools provided by Handy Backup, including all Internet backup services available as Handy Backup plug-ins. Free 30-days trial version! Another popular task for Internet backup services is a website backup. Handy Backup allows saving both static and dynamic website content, using some FTP protocol (including SFTP and FTPS) for static data, and an appropriate SQL-type database plug-in for a dynamic or CMS content. Any Internet backup service task used by Handy Backup has an option of running at an exact time, with a repeating period, which can be as small as one minute or as big as months. In addition, you can start your task when some system event (such as logon of a particular user) will occur. 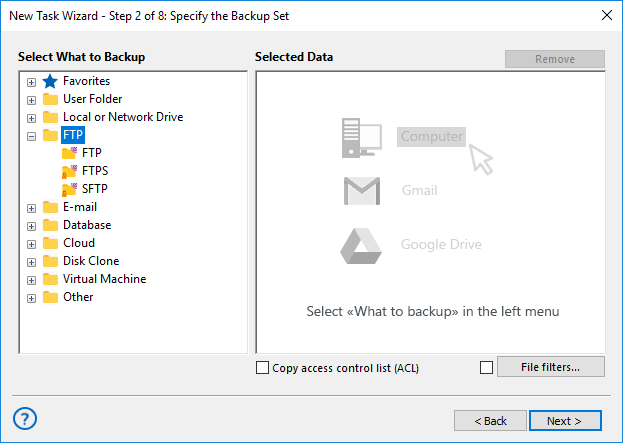 There are many other features and functions useful for Internet backup, including optional auto compression of each file into a separate or whole ZIP archive, a possibility to run other programs before or after a task, a detailed reporting about task results, a partial backup, and other. Try Handy Backup as your trusted Internet backup service! 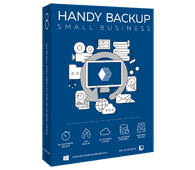 Download a free 30-day trial edition of Handy Backup with a complete set of plug-ins and functions, to learn all the advantages and features of this simple and versatile Internet data backup program!